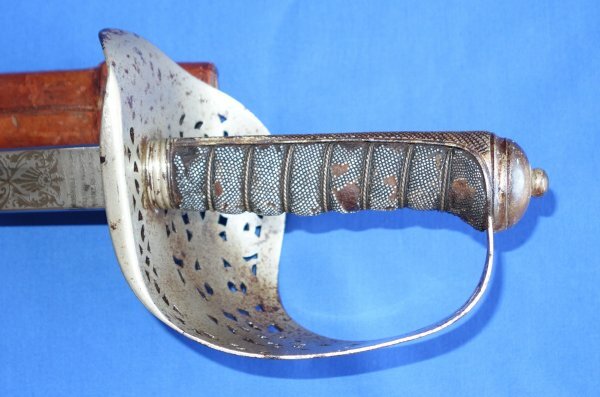 A quality Mole made Victorian British Infantry / Royal Engineers Officer's Sword, in overall fairly good condition. Robert Mole was favoured as a sword manufacturer by serious field service officers because their swords were high quality and built to be used. Hence why they were official makers to the War and India Office. 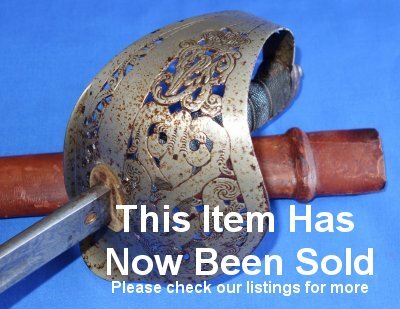 The 32 1/2 inch blade is in overall very good condition, some black patina rust spots, but not many, and firm in the hilt. 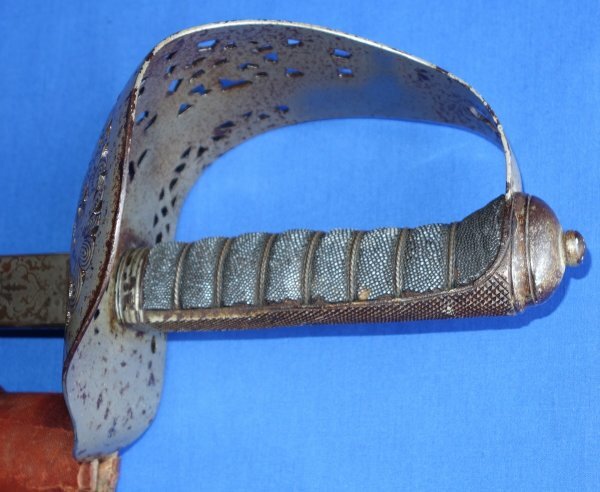 The hilt / guard with age / rust spots, the grip with wear and age, some small patches missing. 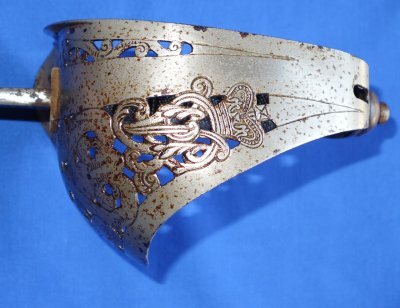 The leather and steel fittings field service scabbard is in aged but sound condition; the sword sheathes and draws well. A very nice example for only £?. Please quote item reference number AA43 (0042). Further / full sized images upon request.